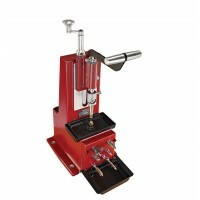 Which Lee Reloading Press should I get? This is by far the most commonly asked question with regard to the Lee Precision line of reloading presses. The answer is dependent on the type of reloading you intend to do, be it rifle cartridges, pistol cartridges or both and the amount of ammo you need to reload. There are three basic styles of press. These are the Single Station Press, the Turret Press and the Progressive Press in their order of efficiency. With a single station press you perform the reloading steps in batches as shown in our "Reloading Made Easy" article. 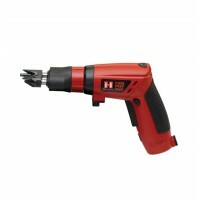 It is a slower method but produces the same quality reloads as any other method. With this press you can reload 40-60 rounds an hour. The next in the line of efficiency is the Turret Press where 3 or 4 dies (depending on the model) rotate above a single shell case in the ram of the press, hence, you must pull the press lever 3-4 times to get one complete round. 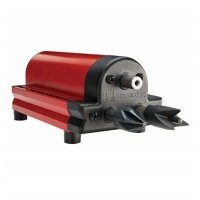 The Value Turret Press is ideal for handgun loading and with experienced hands, you can load over 200 rounds per hour. For those who wish to use the press as a single station press or to reload rifle calibers with an overall length of more than 2.312" long, the auto index feature can be disabled in seconds and then re-enabled in the same amount of time. The Classic Cast Turret Press is a larger version and allows you to reload rifle calibers of up to 3.060" long before you must disengage the auto index feature. The most efficient press to reload ammo is the Progressive style. Here you have 3 or 5 dies (depending on the model) stationary above 3 or 5 shell cases that rotate around under the dies. Every time you pull the press lever there are 3-5 operations happening at once, hence, you get one finished round with every one pull of the lever. Lee offers two fine progressive presses, the Pro 1000 and the Load Master. With a progressive type press you will reload 400+ rounds an hour. The Pro 1000 is a 3 station progressive press primarily designed for pistol cartridges but also can load smaller rifle calibers like the .223 Rem and .30 M-1. The overhead clearance is limited to 2.312" overall cartridge length because anything longer will have the bullet still in the die when the carrier rotates. 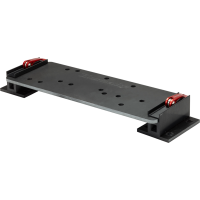 The Load Master is a 5 station progressive press that is designed to handle rifle and pistol cartridges with equal ease. It is stronger and has more overhead clearance to accommodate the larger rifle calibers. Both progressive presses include auto indexing, automatic primer feed and case feed, and can be fitted with an automatic bullet feeder. Both can be purchased completely set up with everything you need to load your desired caliber. Those who want to load rifle or use the Lee Carbide Factory Crimp dies for handgun loading choose the Load Master. Caliber changes for the Turret Press and the two Progressive Presses can be done in less than five minutes and there are extra turrets available so you don't have to readjust your dies once they are set, simply change the turret.